Heiner Hänggi is Deputy Director and Head of Policy and Research Department at the Geneva Centre for the Democratic Control of Armed Forces (DCAF). He is also an Adjunct Professor of political science at the University of St.Gallen, Switzerland. Heiner Hänggi obtained his Doctorate and Licentiate in "Staatswissenschaften" (Political Science, Economics, Law) from the University of St.Gallen. He has served as a visiting scholar at the at the Institute of Southeast Asian Studies (ISEAS), Singapore, the Graduate School of Policy Science, National Saitama University, Urawa, Japan, and the Paul H. Nitze School of Advanced International Studies (SAIS), Johns Hopkins University, Washington, DC. Victoria has been with ISSAT since 2008, when the team was first established, and has been intimately involved in its development. She was previously the deputy head, a senior SSR advisor, and the lead for ISSAT's advisory field support work. Her main areas of focus include strategic management and engagement, change management, risk, governance, national security strategies, and policy development. In addition she has extensive experience of assessments, programme design and M&E, having led ISSAT's development of guidance for assessments and programme design. 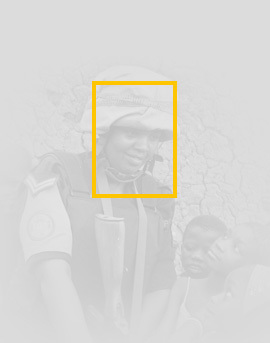 Her country experience covers Sub-Saharan Africa, the Balkans, South-East Asia, Latin America and the Caribbean, and the Pacific, combined with direct experience of supporting national governments and non-state actors, bilateral donors, and multi-lateral and regional organisations such as the UN, EU, AU, Inter-American Development Bank, and OSCE. Prior to joining ISSAT she worked with the EU in several ESDP/CSDP missions. These included political advisor to the head of the EU Rule of Law planning mission in Kosovo; working on crisis management, DDR and human rights in the Aceh Monitoring Mission in Indonesia, and head of the Albania country office for the Balkans EU Monitoring Mission. Before moving into civilian crisis management and development, she held a commission in the British Army. She has a law degree from Kings' College London, an MSc in Development Management and an MA in Social Sciences (focusing on environmental policy) from the Open University, as well as a Post-Graduate Diploma in Security Sector Management from Cranfield University. Victoria is passionate about participatory approaches to reform and supporting local ownership, as well as the political dimensions of justice and security sector reform. Sophie Pagnetti-Takorian became Head of the Resource Department in June 2018, where she leads and develops DCAF’s overall resource management towards greater efficiency, impact and value. Sophie directs the annual budgeting and resource planning process and is in charge of improving control environment to monitor and mitigate risk and financial exposure and ensure compliance with internal rules and regulations. She devises and drives the human resource strategy and develops the related policy framework, such as in professional development, compensation and benefits, performance evaluation, training and recruitment. She is also responsible for ensuring that personnel and financial data are controlled in accordance with the relevant legislation. Sophie has extensive experience of transforming financial resource management and governance in international non-profit organizations. She spent eight years with big four financial auditing firms, five of which at EY, specializing in the non-profit sector, and nine years in non-profit leadership roles, including at Médecins Sans Frontières Suisse, where she overhauled accountability, internal control, grant and risk management practices. In addition, she lectures regularly in controlling, risk and accounting at the Haute école de gestion (HEG) and the Université de Genève (UNIGE), where she led a financial module in the Certificate of Advanced Studies (CAS) in Modern Management for Non-Profit Organizations. Sophie is a certified chartered accountant and a graduate of the Burgundy School of Business and Management. She earned a CAS in IFRS and IPSAS from UNIGE. Sophie is French and speaks French and English. Prior to joining DCAF, Alan was a civil servant with the UK Ministry of Defence. He has held various policy and project management posts including the Ministry's focal point for international humanitarian law issues. Alan was also seconded to the UK Department for International Development, working as a project manager in the field of humanitarian demining. Alan holds degrees in medieval history and international relations and a PhD from the Department of Peace Studies, University of Bradford. He is a graduate on the International Training Course at the Geneva Centre for Security Policy and a member of the Advisory Board for the Geneva Peacebuilding Platform. Alan is widely published in the field of security sector governance. Daniel de Torres leads DCAF's Gender and Security Division. A native of Spain, Daniel has enjoyed a varied professional career which included emergency relief work during and after the war in Bosnia, an embassy posting in Washington, DC, service in the Spanish Marines, and over ten years of work on gender and security. During this time he developed and managed field projects; designed and delivered training for military and police personnel, prosecutors, judges, parliamentarians, development professionals, and civil society organisations; and provided policy analysis and advice. His work has taken him to Europe, Africa, the Americas, the Middle East, and Asia. A lively speaker, he regularly addresses a wide variety of audiences, from grass-roots civil society groups to Parliaments. Albrecht Schnabel is Head of the Asia-Pacific Unit at the Geneva Centre for the Democratic Control of Armed Forces (DCAF). He also serves as Senior Fellow in DCAF's Policy and Research Division, and as Research Associate at the Global Health Centre (GHC) of the Graduate Institute of International and Development Studies. From 2008-16 he served as Senior Fellow in DCAF's former Research Division, where he headed the Security Institutions Programme and the Human Security and SSR Programme. Albrecht's research and operational work focusses on security sector governance and reform (SSG/R), particularly its development and post-conflict dimensions, with a regional focus on Southeast Asia and the broader Asia-Pacific region. Having provided training and advisory services for the United Nations, regional organisations and Swiss government agencies during the past two decades, since 2011 he has primarily been engaged in DCAF's operational advisory and capacity-building activities in Southeast Asia, particularly in Myanmar (police reform), Thailand (media training), Philippines (SSR, DDR and peace processes) and Cambodia (SSG/R and external oversight), as well as in national and regional multi-stakeholder dialogues and parliamentary capacity-building on SSG/R. His research and publications have focused on ethnic conflict, human security, armed nonstate actors, conflict prevention and management, peacekeeping, post-conflict peacebuilding, peace processes, health security, and conceptual, urban and development dimensions of SSG/R. He currently co-leads the GHC-DCAF project on "The Security Sector and Global Health Crises" (since 2015), and serves as an associated member in the Swiss Network for International Studies (SNIS) projects on "How to Break the Gridlock in Global Health Governance" (2015-17, with GHC/IHEID) and "Civil Wars and State Formation: The Social Construction of Order and Legitimacy During and After Violent Conflictâ (2016-18, with the University of Geneva). Before joining DCAF, Albrecht was a Senior Research Fellow at the Swiss Peace Foundation "swisspeace" in Bern, where he was responsible for the research programme on human security (HUSEC) and the Bern-based team of the early warning programme FAST International (2003-2008). From 1998-2003 he lived in Tokyo, Japan, where he worked for the United Nations as an Academic Officer in the Peace and Governance Programme of the United Nations University. Previously he served as an Instructor in the Department of Political Studies at Queen's University (1994); Assistant Professor at the American University in Bulgaria (1995-96) and the Central European University (1996-1998); Visiting Research Fellow at the Institute for Peace Research and Security Policy at the University of Hamburg (1997); Visiting Lecturer at Aoyama Gakuin University (2002-03); Lecturer in International Organizations and Conflict Management at the Institute of Political Science at the University of Bern (2004-2008); and Visiting Lecturer for the Master of Advanced Studies in Security Policy and Crisis Management programme at the Swiss Federal Institute of Technology Zürich (ETH) (2010-2014). He has recently been serving as an external faculty member on regional security sector development courses at the Daniel K. Inouye Asia-Pacific Center for Security Studies in Honolulu (since 2011) and as co-director of an annual course on International Relations, Democratisation and Human Security for young professionals from Myanmar at GCSP/DCAF in Geneva (since 2013). Further experiences include military service in the German Federal Armed Forces (1985-86), participation as an election observer in two OSCE election monitoring missions in Bosnia-Herzegovina (1997), training and teaching for the UN System Staff College course on Early Warning and Early Response (1999-2002) and a term as President of the International Association of Peacekeeping Training Centres (2001-02). Albrecht studied comparative politics and international relations at the University of Munich, the University of Nevada, and Queen's University, Canada, where he received his PhD in Political Studies in 1995. Cristina Hoyos is currently the Head of the Latin America and the Caribbean Unit of DCAF. Mrs. Hoyos has more than twenty five years of experience working in development cooperation, diplomacy and security-/peace-related issues, leading multilateral and bilateral negotiations (OECD, African Development Bank, Inter- American Development Bank, and significant bilateral cooperation programmes) in Latin America and the Caribbean, as well as in Sub-Saharan Africa and South Asia. She has been working in the Swiss Agency for Development Cooperation (SDC) for the last 12 years, where she was responsible for developing new approaches to countries in fragile situations and for programmes related to conflict prevention in development cooperation contexts. From 2005-2008, Mrs Hoyos was the Co- Chair of the OECD Conflict, Peace and Development Co-operation (OECD) representing Switzerland. Within the Colombian government, she was advisor to two Ministers and Head of International Cooperation in the Ministry for Environment (1998-2000). During that time she was part of the negotiation team in the peace process with the ELN (1998) and participated in the negotiations with the FARC-EP in 2000. As a Diplomat for the Colombian government she held different positions in Germany (1995-1998) and in Brazil (1991-1994). Mrs. Hoyos holds a PhD in Geography from Humboldt University, Berlin, with a thesis about the Peace Process with the FARC-EP (1999-2002). Vincenza Scherrer is Deputy Head of the Policy and Research Division. She leads the Division's engagement with multilateral organizations on strengthening the development of their approaches to SSR. This includes supporting these organizations in reviewing their approaches to SSR support in the field or contributing to their policy and guidance development processes. Additionally, Vincenza manages the Division's programme on results-based management/monitoring and evaluation which seeks to identify approaches to strengthening the monitoring and evaluation of SSR support on the basis of empirical research. In this capacity, she also coordinates DCAF's organization-wide process of transitioning to results-based management at the corporate level. During 2013-14, Vincenza was on a leave of absence from DCAF while on an assignment as an SSR advisor at the UN Department of Peacekeeping Operations / Security Sector Reform Unit in New York. Her role included drafting technical guidance on monitoring and evaluation, providing input to internal consultations on SSR-related indicators, and delivering SSR training. She was also part of the team that advised Nigeria on the drafting and negotiation of the first ever Security Council Resolution on SSR in 2014. Prior to this assignment, Vincenza was a Programme Manager in DCAF's Research Division, supporting the UN's initial efforts to develop its approach to SSR. Prior to joining DCAF in 2006, Vincenza worked at the UNDP's Bureau for Crisis Prevention and Recovery on small arms/ light weapons and DDR issues, and at the UK Parliament supporting case-work management. Vincenza holds an undergraduate degree in International Relations from the Graduate Institute of International Studies in Geneva and a Master of Science in International Relations from the London School of Economics. 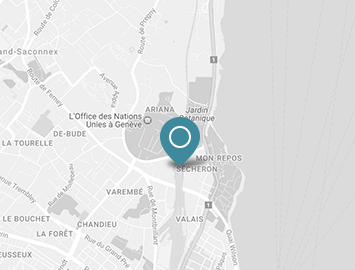 Jean-Michel Rousseau is a Programme Manager within the Public-Private Partnerships Division at the Geneva Centre for the Democratic Control of Armed Forces (DCAF). Jointly with the Head of Division, he is responsible for general management processes as well as a variety of programme management processes. He also leads the divisional engagement to strengthen private security regulation in Latin America and the Caribbean. Prior to joining the Public-Private Partnerships Division, Jean-Michel Rousseau was Head of the North Africa desk at DCAF’s Middle East and North Africa Division, a position in which he coordinated DCAF’s operations in Egypt, Libya, Morocco, and Tunisia. He previously worked as a global strategy, governance, and organisational development consultant, and for German development agency GIZ in Colombia. Jean-Michel Rousseau studied at Sciences Po Paris, Georgetown University, and the University of Oxford’s Saïd Business School. He has taught at the Geneva Centre for Security Policy (GCSP) and at the Universidad Externado de Colombia. Mr. Yury Korobovsky is Advisor to the DCAF Director. He supports the DCAF Director in the planning and management of DCAF' external relations and daily operations of the Centre, and coordinates the work of DCAF's governing structures (Bureau, Foundation Council). Prior to joining DCAF, Yury worked at the International Committee of the Red Cross (ICRC), first at the ICRC Delegation in Moscow, and then at the Division of International Organisations at the ICRC Headquarters in Geneva. Yury holds a Masters degree in International Relations from the Moscow State Institute for International Relations (MGIMO) and a Masters degree in Political Science from the Paris Institute for Political Studies (Sciences Po Paris ). Ben Steward became DCAF Communications Manager in October 2017 and is responsible for external and internal communications. His primary responsibilities include optimizing DCAF’s communications and leading the development of the organization’s corporate identity and branding. He is developing DCAF’s digital footprint and oversees the production of publications and other materials. Before joining DCAF, Ben held senior corporate communications posts in diverse sectors, including publishing, shipping and broadcasting. Before that, he was a newspaper journalist in the UK. A British citizen, Ben holds a First-Class Joint Honours BA in French and Italian from the University of Exeter, UK. He speaks English, Italian, French and Spanish. Valérie Gatellier is Executive Assistant to the DCAF Director and the Head of Resources. Prior to joining DCAF, Valérie spent 15 years at the Permanent Mission of Malaysia to the UN in Geneva and other International Organizations in Switzerland and six years working in public private partnerships in the development sector. Valérie studied at the University of Grenoble, France and St Andrews, Scotland. She holds a Master's in Foreign Applied Languages from the University of Grenoble. She is also a graduate in Economics from the University of Madrid. Ann Blomberg is Deputy Head of the Gender and Security Division, with a special focus on research and policy. She joined DCAF in 2017, bringing her experience from a long and varied professional career in international diplomacy with her. For more than 20 years Ann was a Swedish diplomat serving in Stockholm, as well as in Harare, Zimbabwe and in Geneva, and she has worked for UNHCR and UN Women in Geneva as well as for international NGOs, also based in Geneva. Ann's main focus has been humanitarian affairs, gender equality, human rights, development cooperation as well as donor relations and fundraising. Ann speaks English and French fluently, in addition to her mother tongue Swedish. Alain Laferte joined DCAF in 2015 as a Project Coordinator for the Gender and Security Programme in Eastern Europe. His work focuses primarily on designing and coordinating capacity-building projects aiming at providing gender-related technical assistance to security institutions. In 2000, Alain was the first male ever appointed as Departmental Delegate for Women's rights and Gender equality within his homeland administration, in France. He was in charge of integrating gender perspective into all State policies implemented in the district of Pas-de-Calais (an area of 1,5M inhabitants). Since then, he has enriched his experience while working as a researcher at the University of Lille II (France), where he was responsible for evaluating the inner-city public policy from a gender perspective, and as a long-term Resident Gender Advisor in the framework of EU projects aiming at enhancing gender equality in Slovakia (2005-06), in Estonia (2007-2008) and more recently in Azerbaijan (2011-2013). Alain holds post-graduate degrees both in political science and in organizational consulting. He also obtained a 'gender audit facilitator' certificate by the ILO in 2009. Alain speaks French, English and some Slovak. Callum Watson is a project coordinator in the Gender and Security Division. His work primarily focuses on teaching gender to the military in NATO and Partner countries as well as on gender and justice reform in Bosnia and Herzegovina. In this role he conducts research, develops educational resources, delivers courses and provides technical assistance on gender and security in collaboration with both Gender and Security Programme staff and external partners, such as the Partnership for Peace Consortium of Defense Academies and Security Studies Institutes. His main research interest is in men and masculinities. Callum previously worked for DCAF's UN and Security Sector Reform Programme within the Research Division, focusing especially on UN support to National Security Policy-making. Prior to joining DCAF, he worked as a civil servant at the Fukuyama Board of Education in Japan. His work included English language syllabus development, teaching and promoting cultural exchange. He also has voluntary experience in rural development projects in Tamil Nadu, India and in Human Rights with Amnesty International. Callum holds an undergraduate degree in International Relations from the London School of Economics where he specialized in political science. During this time he was involved in academic exchanges in the Middle East and the Western Balkans. He also completed a master's degree in International Affairs at the Graduate Institute for International Affairs and Development in Geneva where he specialised in gender and foreign policy. Callum speaks English, French and Japanese. Ivana Pattee is the Finance Officer within the Public-Private Partnerships Division at the Geneva Centre for the Democratic Control of Armed Forces (DCAF). She is responsible for the financial reporting and oversight of the Security and Human Rights Implementation Mechanism (SHRIM) Fund. In addition, she provides finance and budget management support to the Division. Prior to joining DCAF, Ivana worked as a Senior Project Accountant for a non-profit organization in the Washington, DC area, focused on research aimed at improving children’s lives. Ivana holds a Master of Accountancy degree from the George Washington University and a Bachelor in Business Administration from the University of Geneva. Léa Lehouck joined the DCAF Gender and Security Division in 2017. Among her current projects, Léa is involved in a NATO-SPS project facilitating an organisational climate assessment in the Ministry of Defence of the Republic of Georgia. She has also contributed to the design and delivery of training on Gender and Security for different audiences and has done research on the deployment of uniformed women in peacekeeping operations. Prior to DCAF, Léa worked on prevention of violence and discrimination against women in the Special Procedures Branch of the Office of the United Nations High Commissioner for Human Rights (OHCHR). Léa holds a Master’s Degree in European and International Affairs from the Institute of Political Studies of Lille (Sciences Po Lille), France, where she focused on conflict resolution and development studies. Megan Bastick has worked with DCAF's Gender and Security Division since 2005. Her work aims to support the integration of gender perspectives and the promotion of women's rights in good governance of the security sector. Megan has written or edited many of DCAF's publications on gender and security, including the Gender and SSR Toolkit, Gender and SSR Training Resource Package, Gender Self Assessment Guide, Women's Guide to SSR, gender and oversight guidance notes and Gender Complaints Guide. Megan has also trained and worked with the UN, OSCE, NATO and government officials, armed forces and local women's organisations in a range of countries and contexts. Megan joined DCAF after working in Geneva with the Quaker United Nations Office's Human Rights and Refugees Programme, where she undertook research and advocacy concerning women in prison. Previously, Megan worked in Australia as a commercial lawyer, and as an International Humanitarian Law Officer with the Australian Red Cross. Megan holds a Bachelor of Arts and Bachelor of Laws from the University of New South Wales (Australia) and a Masters in International Law from the University of Cambridge. She is currently undertaking doctoral research on military responses to sexual violence in conflict, at the University of Edinburgh. Melissa Silverstein is an Administrative Assistant in the Asia-Pacific Unit and the Policy and Research Division at the Geneva Centre for the Democratic Control of Armed Forces (DCAF). She provides administrative assistance to the Unit, including general administration, finance, communication and publication support. Prior to joining DCAF, she has held various positions in the capacity of administrative assistant in the private sector (bank, hotel, medical practice, law firm). Melissa is bilingual in English and French. Séverine Arroyo-Dunand is an Administrative Officer within the Public-Private Partnerships Division at the Geneva Centre for the Democratic Control of Armed Forces (DCAF). She is in charge of the administrative support for the Division's Head and programme team. Prior to joining DCAF, Séverine has held various positions in the private fiduciary sector as well as in NGOs. She has worked for one year for a local organisation in Ecuador, Latin America and has travelled extensively. She is fluent in English, in Spanish and in French, and has a good knowledge of German. Séverine holds a MA in International Relations from the Graduate Institute of International Studies of Geneva, as well as a Certificate of Advanced Studies in Project Management from the Department of Economics of the University of Geneva. In addition, she has completed trainings in fields as diverse as finance management, human resources and gender studies. William McDermott is a Project Officer in the Policy and Research Division, where he oversees the ombuds institutions programme. His primary responsibilities include organizing the International Conference of Ombuds Institutions for the Armed Forces, an annual conference which gathers ombuds institutions from over 50 countries to share good practices and lessons learned, and to develop increased cooperation, as well as coordinating and publishing research on the topic. William has published numerous resources, including the “Handbook on Ombuds Institutions for the Armed Forces.” William also contributes to DCAF’s programme on democratic governance, focusing on issues such as intelligence oversight, parliamentary oversight of the security sector, and human rights and fundamental freedoms of armed forces personnel. Prior to joining DCAF, William worked in a variety of positions in the field of disarmament and security issues, including the secretariat of the Anti-Personnel Mine Ban Convention, the United Nations Institute of Disarmament Research (UNIDIR) and interning in Human Rights Watch's Arms Division. William received his Master's Degree in International Affairs from the Graduate Institute of Geneva (IHEID), concentrating in security and conflict management. William received his Bachelor's degree with honors from Northeastern University in Boston, USA. Elodie Convergne is a Project Coordinator in the Policy and Research Division of the Geneva Centre for the Democratic Control of Armed Forces (DCAF). Her work investigates the way in which peace processes address post-conflict security arrangements, so as to inform future international mediation efforts. Prior to joining DCAF, she was a research fellow at the Geneva Centre for Security Policy (GCSP). Elodie served as an adviser on policy and mediation support at the Centre for Humanitarian Dialogue (HD) and the UN’s Policy and Mediation Division. In this framework, she contributed to the Oslo Forum, a leading international network of conflict mediation practitioners, and she participated in the design of UN policy on conflict prevention and on the recruitment and training of senior field leaders. She has been a consultant for the International Peace Institute, the Center on International Cooperation’s Crisis Diplomacy and Global Peace Operations Program, and the European Union’s External Action Service, and she has conducted field research in Africa and Latin America. Elodie is the author of several publications, notably in International Peacekeeping, International Negotiation and the Journal of Intervention and Statebuilding. Her doctoral studies focused on the politics of knowledge production and management in peace processes, at Sciences Po Paris – Centre de Recherches Internationales (CERI), where she also served as a lecturer. In this framework, she was a visiting scholar at Columbia University’s School of International and Public Affairs, the Fletcher School of Law and Diplomacy, and the Woodrow Wilson International Center for Scholars. She holds a Master’s Degree in International Organizations from Sciences Po Grenoble and a Bachelor’s Degree in History from the University of Edinburgh. Dorte Hvidemose works in DCAF's Middle East and North Africa (MENA) Division as Project Coordinator. She works on fundraising and donor relations for the Division. She also manages DCAF's Trust Fund for North Africa. Prior to joining DCAF, Ms. Hvidemose worked with Saferworld in London, lastly as a Project Coordinator on its Europe and Central Asia team where she was working on conflict analysis and community safety, mainly in the Western Balkans. Previously, she worked for the international development NGO of the Danish trade union confederation (the LO/FTF Council), among other things assisting the organisation in developing its activities in the MENA region. She has also worked and studied in Beirut on several occasions. Ms. Hvidemose holds a Master's degree in Human Geography from the University of Copenhagen. She is a Danish national and fluent in English and French. Sami Badreddine is a Project Coordinator in DCAF's Tunis office, overseeing the âMedia and Security Sector Governanceâ programme. He is responsible for the internal and external communications of the office, especially press relations, editorial management of websites, and the social media strategy. He is in charge of the communications projects launched with various partners of DCAF, including the Tunisian Ministry of the Interior. He also runs projects involving journalists and the Tunisian media's role in overseeing the security sector. Before joining DCAF, Sami worked for several years at the Tunis Afrique Presse News Agency (TAP) as French-speaking journalist, specializing in political and economic issues. He also worked as a communications specialist with organizations such as UNDP or MICT. He has extensive experience as a freelance journalist with various print and electronic Tunisian media, with a focus on topics about economic issues or ICT. Sami has also taught at the Institute of Press and Information Sciences of Tunis for 4 years as a teacher expert in electronic media. Sami has a Masters in Public Communication from the Department of Communication at the University of Laval in Quebec (CANADA). He has also a Bachelor degree in business communication from the Institute of Press and Information Sciences (IPSI) of Tunis. Almas Shaikh is an Intern in the Asia-Pacific Unit at the Geneva Centre for the Democratic Control of Armed Forces (DCAF). She provides research, editing and related support under the supervision of the Unit’s South Asia Project Officers, including during the formative stage of an evolving network of national partner institutions and experts. While working at DCAF, Almas is also pursuing her LLM in International Law at the Graduate Institute of International and Development Studies (IHEID) in Geneva, where she concentrates on the protection of vulnerable groups. Prior to joining DCAF, she worked as a lawyer in India, representing clients in various dispute resolution forums. She has obtained a double Bachelor’s in Arts and Law with a focus on Political Science at the National University of Advanced Legal Studies, Kochi, India. Andrea Cellino is the Head of the North Africa desk at DCAF's Middle East and North Africa Division. As such, he coordinates DCAF's operations in Egypt, Libya, Morocco, and Tunisia. Before joining DCAF, he worked with the OSCE missions in Bosnia-Herzegovina, as director of policy planning, and in Ukraine, recently leading a monitoring team in the conflict zone in the East of the country. Prior to that, he was Deputy Secretary General for Policy at the NATO Parliamentary Assembly in Brussels, heading for 8 years the PA's outreach programs with parliaments in the MENA region as well as in Eastern Europe. Earlier in his career, he worked in media and communication. Andrea Cellino has a degree and MA in Political Science from the University of Torino in Italy, and a Master in History from the University of California, San Diego. Chamila Kodikara is the Finance Officer of the Sub-Saharan Africa Division at the Geneva Centre for the Democratic Control of Armed Forces (DCAF). She is responsible for providing accounting and budget management support to the division, coordinating closely with the DCAF financial department. Prior to joining DCAF, Chamila was the Finance and Administration Officer of the Sri Lanka Australia Natural Resource Management Project in Sri Lanka, which was funded by AusAID through the Government of Australia . She has held Accounts and Administration Officer posts including the Governance and Institutional Strengthening Project funded by the Canadian International Development Agency (CIDA). Chamila has completed the intermediate level of the Chartered Institute of Management Accountants (CIMA) United Kingdom. She has a diploma from the Society of Certified Management Accountants (CMA) Sri Lanka. Intisar is Research Assistant with the Project "Palestinian Territories" at the DCAF Office in Ramallah. Prior to joining the Ramallah Office, Intisar Abu Khalef taught human rights at Hebron Polytechnical University and worked as public relations coordinator for Al-Ihsan Charitable Society in Hebron. Intisar Abu Khalef holds an MA in Peace and Development Studies from Goteborg University, Sweden, and a BA in Political Science, International Law and Philosophy from the American University in Cairo. Jean is a Project Officer in the Sub-Saharan Africa Division, where he is primarily responsible for managing projects to improve security sector governance in Nigeria and Liberia. He was previously a Project Officer for Tunisia in the Middle East and North Africa Division. Prior to joining DCAF, Jean worked as a Project Coordinator at the Directorate General of Human Rights and Rule of Law of the Council of Europe, where he implemented projects in the Balkans in collaboration with the European Commission. Notably, he delivered a three-year project in Montenegro to build the capacity of the Constitutional Court and the National Ombudsman to better apply European human rights standards. He previously served three years as a lawyer in the Communications Unit of the ECtHR President’s Private Office, and two years as a lawyer for the International Labour Office. Jean holds two Master’s Degrees in International Law and in Human Rights from the University of Paris II Panthéon-Assas. He is bilingual in English and French. John Davidson is a member of DCAF’s Asia-Pacific Unit and the Key Expert Legal Framework and Parliament for the 2016-2021 EU-funded MYPOL project “Support to the Reform of the Myanmar Police Force.” John holds one of two permanent long-term consultant positions based in Myanmar as part of DCAF’s contribution to this project. John is a specialist on security sector reform and manager of foreign aid projects with more than 25 years of experience. He has worked as a parliamentary and judicial sector capacity building expert and legal educator, with extensive experience in Central Asia, the Balkans, Ukraine and the Caucasus region. He has led technical teams of varying experience and background on large-scale Rule of Law programmes, namely in Turkmenistan, Kosovo, Kyrgyzstan, Armenia and Kazakhstan. He led two large-scale parliamentary strengthening programmes for USAID in Kyrgyzstan and Kosovo, and worked to introduce legal reforms as a team leader for more than three years in both Kazakhstan and Armenia. John has a strong understanding of the politics and economics of developing countries, having completed a Ph.D. on international politics and economics at Johns Hopkins University’s School for Advanced International Studies (1987), as well as a Juris Doctorate in Law at the College of William and Mary Marshall-Wythe School of Law (1994). John Davidson is a graduate of Yale University, where he studied history and social sciences. Kevin Socquet-Clerc is a Project Officer in the Asia-Pacific Unit at DCAF. Kevin is involved in the management and implementation of the Asia-Pacific Unit’s activities in Southeast Asia, including the maintenance of a network of national partner institutions and experts covering the Southeast Asian sub-region. Prior to joining DCAF, he worked for over 10 years managing various humanitarian aid and development programmes in the field. From 2004 to 2009, he worked for the International Committee of the Red Cross (ICRC) as an interpreter and Acting Head of Sub-office in Myanmar and Thailand. From 2009 to 2013 he worked for different international NGOs on protection, advocacy, adult education and Water, Sanitation and Hygiene (WaSH) in Myanmar, Thailand and Liberia. From 2013 to 2015 he worked for the UNHCR as Shelter and Camp Coordination and Camp Management (CCCM) Cluster Coordinator. Since 2013, he has been a member of the Norwegian Refugee Council (NRC)’s Norwegian Capacity (NORCAP) roster as a CCCM expert. Between 2015 and 2018 he reduced his field activities to help raise his two children, apart from one year as adviser to the Greek Ministry of Interior, supporting the alignment of refugee and migrant receiving facilities on Lesvos Island with international standards. He holds a graduate degree in Southeast Asian languages and civilizations from the “Institut National des Langues et Civilisations Orientales (INALCO)” in Paris, focusing on Myanmar language and history. He has subsequently carried out post-graduate work in Myanmar on the country’s 19th century history and for one year attended the Institute of Foreign Languages (IFL) in Yangon. He speaks fluent English, Burmese and French. Maxime L. Poulin is the Deputy Head of the Office of DCAF in Tunisia where he spearheads the programmes with the Tunisian Ministry of National Defence and the Tunisian Parliament, l’Assemblée des Représentants du Peuple (ARP). Before joining DCAF, Maxime was a political and policy advisor with the Government of Canada, serving noticeably in the Cabinet of the Minister of Foreign Affairs and in the Cabinet of the Leader of the Official Opposition. He then joined the Washington based National Democratic Institute as a Senior International Field Advisor and, later, Rights & Democracy, a Montreal based organization, as Director of Development. Maxime has worked in advisory positions in the Democratic Republic of Congo, in the Republic of Guinea, and in Iraq. He holds a B.A. in history from the Université de Sherbrooke (Sherbrooke, Canada) and a M.A. in Public Communications from the Université Laval (Quebec City, Canada). He speaks French, English and conversational Spanish. Pia Jerabek is the Finance Officer of DCAF’s Latin America and the Caribbean Unit. Prior to joining DCAF, Pia worked at the Swiss Foreign Ministry, the Peruvian Red Cross and the Danish Refugee Council, with working experience in Europe, Latin America and the Middle East. She holds a degree in Project Management, Business Administration and Executive Assistance, and is currently studying for a degree in Accounting. Rohit Karki is a Project Officer in the Asia-Pacific Unit at DCAF. Rohit is involved in the management and implementation of the Asia-Pacific Unit’s activities in South Asia, including the maintenance of a network of national partner institutions and experts covering the South Asian sub-region. Prior to joining DCAF, Rohit worked for ten years on security sector governance and peacebuilding issues, while working in NGOs, academic and policy institutes in Nepal. Rohit has extensive experience in managing and coordinating post-conflict peacebuilding projects, focusing on child soldiers’ reintegration and enhancing good governance in the security sector, while working closely with state security actors (particularly the Nepali police and armed police forces) and non-state actors (ex-Maoist combatants, including child soldiers and other armed groups). In 2017 Rohit participated in the ‘Study of United States (SUSI) Scholars Program on US National Security Policymaking’ at the University of Delaware. He has also taught courses in the fields of international relations and security studies at Tribhuvan University, Nepal and is the author of various publications on small states’ security and foreign policy challenges in international affairs, with a focus on Nepal. Rohit received his MA in Asian Studies from the Australian National University (ANU), Canberra (2011), with a thesis on “The Double Edged Sword: The Role of Nuclear Weapons in South Asia”. In 2006 he graduated from St. Xavier’s College in Kathmandu with a BA in Social Work. Sophie Frediani has been seconded to DCAF by the French Ministry of Foreign Affairs and International Development. She joined DCAF in February 2016 as an Adviser within the Africa Programme, Sub-Saharan Africa Division. Prior to joining DCAF, Sophie worked for the UN Department of Peacekeeping Operations, first within the UN Operation in Côte d'Ivoire, as a Chief of the Rule of Law Office in Daloa and, second within the UN Mission in Liberia, as an Adviser to the Special Representative of the Secretary General for Rule of Law. Prior to this, she was a Legal Officer at the Special Court for Sierra Leone, in Freetown working, successively, within the Office of the Registrar and the Appeals Chamber. In the past, she worked as a Legal System Monitor for the Organization for Security and Cooperation in Europe (OSCE) in Kosovo, and for the UN Conference on Trade and Development (UNCTAD) in Geneva. Sophie holds a Ph.D. in International Law from the University of Law of Bordeaux, France, focusing on the relationships between States authorities and International Criminal Courts and Tribunals. Stefan Buchmayer is head of the DCAF Office in Tunis. He is responsible for the programmatic and administrative management of the portfolio, through which DCAF supports the Tunisian authorities in their security sector reform efforts. Main issues of cooperation are the strengthening of parliamentary oversight and independent accountability mechanisms, as well as support to strategic planning and coordination processes within and among key ministries. Prior to joining DCAF Stefan has worked in the fields of conflict prevention, rule of law and human rights reforms in the South Caucasus (Armenia, Azerbaijan) and Central Asia (Kazakhstan) with the OSCE, for the ICRC as protection delegate in Kyrgyzstan, Tajikistan and the Sudan, and recently for the German International Development Cooperation (GIZ) in police reform programs in Burundi and Ivory Coast. Stefan studied in Vienna and St.Petersburg and holds an MA in history/Slavonic and Oriental studies and a PhD in Turkic studies/linguistics. He completed the one year diploma program of the Diplomatic Academy of Vienna and postdoc studies at London University, SOAS, Centre for Financial and Management Studies, in public financial management. Tobias Fontecilla has been interning with the LAC Unit since September 2018. He obtained a MA in Political Science from the University of Essex in 2016, specializing in International Relations. Shortly thereafter, he worked as a researcher focused on human rights and sociopolitical issues affecting the LTAM region in a Washington D.C. think tank. He has also worked with the CCPR Center where he helped monitor the 123rd Session of the United Nations Human Rights Committee. Tobias is fully fluent in Spanish, English and French. Upasana Garoo is a Project Officer in the Asia-Pacific Unit at DCAF. Upasana is involved in the management and implementation of the Asia-Pacific Unit’s activities in South Asia, including the maintenance of a network of national partner institutions and experts covering the South Asian sub-region. Prior to joining DCAF, Upasana held various positions with the UN Department of Peacekeeping Operations. In the role of Security Sector Reform Advisor with the UN Mission in Timor-Leste (UNMIT), Upasana was involved in a comprehensive review of the security sector and in the drafting of a new national security policy and legislation that provided for civilian oversight of the security institutions. In collaboration with UNDP’s Bureau of Crisis Prevention and Recovery in Timor-Leste, she was involved in the design, implementation, and monitoring and evaluation of a range of activities addressing: parliamentary and public oversight of security institutions; border management; disaster response management and civil protection; and regulation of private security companies. As a Political Liaison Officer with the UN Interim Security Force for Abyei (UNISFA), Upasana engaged with various military and civilian stakeholders in support of implementation of a Joint Border Verification Monitoring Mechanism, the establishment of a demilitarized border zone and conflict mitigation strategy and early warning assessment of annual Missierya migration from Sudan to South Sudan. Upasana has worked closely with the UN Inter-Agency SSR Task Force (IASSRTF) in supporting effective and coherent SSG/SSR support to the Government of Timor-Leste. Her experience has involved supporting national governments, national non-state actors, bilateral donors, and multilateral organizations such as the European Union, the African Union, East Africa’s Inter-Governmental Authority on Development (IGAD), and ASEAN. Upasana’s work has focused on supporting oversight and management mechanisms at both public and private levels and to reinforce regional frameworks in the field of Security Sector Governance. Other professional experience includes work on justice sector reform in India, focusing on access to justice and reform of the correction facilities in Delhi, and gender policy and flagship publication work with UNICEF in New York. Recently, she has been involved with teaching governance at the Ecole Polytechnique de Fédérale de Lausanne (EPFL), and in research addressing the private security industry in India. Upasana holds an MA in Law and Diplomacy (International Security Studies and Human Security) from the Fletcher School at Tufts University, an LLM (International Law and Human Rights) from the London School of Economics and Political Science (LSE), and an LLB and a BA in Sociology from the University of Delhi. Youngchan Kim is a Project Officer in the Asia-Pacific Unit at DCAF. He is involved in the design, management and implementation of various security sector governance and security sector reform (SSG/SSR) activities in the Asia-Pacific region, with a focus on DCAF’s contributions to the EU-funded and FIIAPP-implemented project on the “Support to Reform of the Myanmar Police Force”. Since 2017 he has been involved in presentations on SSG/R for visiting delegations from Myanmar, organized by the Swiss Federal Department of Foreign Affairs and an annual course on “International Relations, Democratisation and Human Security” for young professionals from Myanmar at GCSP/DCAF in Geneva. He was involved in the organization and delivery of the 2017 Inter-Parliamentary Forum on Security Sector Governance in Southeast Asia as well as recent training workshops on SSG/R for members of parliament and parliamentary staff (February 2018) and on SSG/R and DDR for members of the Myanmar military (May 2018). Previously, he served as a Research Assistant in DCAF’s Research Division, where he assisted the Ombuds Institutions Programme. Prior to joining DCAF, Youngchan worked at the Swiss Institute for International Economics and Applied Economic Research (SIAW), the US Committee for Human Rights in North Korea (HRNK) and the Institute for Health and Unification Studies (IHUS). Youngchan Kim holds a dual MA in Law and Diplomacy (MALD) from the Fletcher School of Law and Diplomacy, Tufts University and in International Affairs and Governance (MIA) from the University of St. Gallen. His Master’s thesis addressed “The Role of the Security Sector in Transition to Democracy: Republic of Korea (South Korea) and Republic of China (Taiwan)”. Zeina Assaad is a Project Officer at the DCAF office in Beirut. She is responsible for project implementation, office administration, media and press monitoring and event organisation. Prior to joining DCAF, Zeina worked as an Operations Associate at the United Nations Development Programme (UNDP) - Programme on Governance in the Arab Region (POGAR). She was responsible for all logistical aspects of the activities organised within the framework of the project "Strengthening the Capacities of the Iraqi Council of Representatives". Her responsibilities included budgeting, organising conferences and preparing contracts for international and local experts. Zeina holds a bachelor's degree in International Business from the Ecole Supérieure de Commerce Wesford in Grenoble, France. Zoë Poznicek is a Project Assistant in the Asia-Pacific Unit at the Geneva Centre for the Democratic Control of Armed Forces (DCAF). She provides research, editing, logistical and administrative support under the direct supervision of the Unit’s Head. She also represents the Unit in DCAF’s internal communication task force. While working at DCAF, Zoë is pursuing a Master’s degree in International Law at the Graduate Institute of International and Development Studies (IHEID) in Geneva, where she concentrates on environmental and general public international law. Prior to joining DCAF, she worked for the Swiss Network for International Studies (SNIS) in Geneva and completed a Bachelor’s degree in International Relations with a focus on law at the University of Geneva. Andreea is an Administrative Assistant for the International Security Sector Advisory Team. Her role is to support the general administrative activities of ISSAT. As part of ISSAT’s Finance and Logistics team, her tasks include assisting team members both at Headquarters and in the field, administrating ISSAT’s SSR experts, office management and coordination of various actions with other DCAF administrative staff. Andreea holds an MA in Italian Language and Literature from the University of Geneva and a BA in Foreign Languages and Literatures (Italian-French) from the Al. I. Cuza University of Iasi, Romania. Andreea also studied at the University of Rome Sapienza, the University of Salerno (Italy) and is certified as an accountant assistant. Prior to joining ISSAT she occupied a managing position within a Swiss watch manufacturing company. Andreea is fluent in Romanian, Italian, French and English. Anícia Lalá is Security Sector Reform Advisor at the International Security Sector Advisory Team in the Geneva Centre for the Democratic Control of Armed Forces (DCAF). She has worked in the field of international security cooperation for 15 years and has combined practitioner and academic experience in the fields of international politics, conflict resolution, development, and security. She is a founding member of the African Security Sector Network and has served on its Executive Committee for a number of years. Previously she was Deputy Director for Africa at the Global Facilitation Network for Security Sector Reform, when the project was based at Cranfield University in the UK. Earlier posts include a lecturing position in Conflict and Peace Studies at the Higher Institute for International Relations (Mozambique) and a civil servant placement at the National Directorate for Defence Policy in the Ministry of Defence of Mozambique. Anícia holds an MSc in peace and development studies, from the University of Gothenburg, and has published in the fields of conflict resolution, democratisation, post-conflict reconstruction and security sector reform. Antoine Hanin is an SSR Officer at ISSAT. He works on Advisory Field Support mandates and Knowledge Services activities. His main focus is on Monitoring and Evaluation (M&E) of Security Sector Reform (SSR) projects, programmes and policies. He also supports ISSAT training activities related to design, monitoring and evaluation of SSR in post-conflict countries. Seconded by the French Ministry of Foreign Affairs, Bgen Bernard Bélondrade is in charge of strengthening the links between France and ISSAT and also providing his personal experience of gendarmerie policing at the disposal of DCAF. Bernard served 37 years in the French Gendarmerie; he ended his military career with the rank of Brigadier General as reserve advisor of the Gendarmerie Director. Throughout his career he was in charge of various field police responsibilities, among them the command of the South Indian Ocean Gendarmerie's forces in Reunion. He also held several staff officer positions, in the General Direction of Gendarmerie in Paris, principally in the human resources domain. His last post in this area was that of Training and Recruitment Sub-Director. He has experience working in international affairs, firstly as a Gendarmerie Attaché to the French Embassy in Buenos Aires - responsible for Argentina and Chile; secondly in developing a technical and advisory relationship with the Malagasy Gendarmerie and the Mauricius National Police Force. Catherine Violland is DCAF-ISSAT’s Professional Development and Training Officer. Her role includes the ongoing design, development and oversight of training courses on SSR and related topics, delivering face-to-face trainings as well as conducting research to support the development of SSR courses. Before commencing with DCAF-ISSAT, Catherine has conducted capacity building programmes for professionals and humanitarian organisations in different African countries as well as in Europe with the Bioforce Institute from 2010 to 2016. She held various roles such as Human Resources Training Coordinator, Head of Management Training and Head of Learning and Development. From 2005 to 2010, Catherine held different positions from Human Resources and Finance Coordinator to Head of Mission with Action Against Hunger in Democratic Republic of Congo, Niger, Guatemala, Nicaragua and Dominican Republic as well as at the NGO headquarters in Spain. She has also worked as a project officer with Sidaction in Paris in 2003-2004. Catherine holds a Master's degree in Political Science and International Relations from the Institute of Political Studies of Toulouse (Sciences-Po), in Development Cooperation from the University of Granada in Spain and in Management from the ESCD 3A international business school of Lyon. She speaks French, Spanish and English. Eleanor is ISSAT's Good Practice Coordinator. Within ISSAT, she assists in the design and development of core training packages as well as SSR training material for multi-lateral organisations such as the UN. She is also responsible for developing a strategic plan to handover training packages to ISSAT members and to conduct ISSAT training in coordination with members of the Association for Security Sector Education and Training (ASSET). Eleanor holds a diplôme and an MA in political science from the Institut d'Etudes Politiques (Sciences-Po), Paris and a BA in international relations from the University of Colombo. She is currently completing her doctoral thesis at the department of international relations at Sciences-Po Paris. She has also studied at Kingâ' College London and at Princeton University. She is the author of several articles on ethnic conflicts, nationalism and mediation. Eleonora is a Project Assistant for the International Security Sector Advisory Team. Her role is to support ISSAT's Performance, Logistics and Finance team. Her main tasks include the planning and organisation of ISSAT's activities and mandates, the provision of logistical support for missions, as well as administrative and financial management support. She also provides support to thematic research on SSR and related issues, notably on gender issues. Before commencing with ISSAT, Elizabeth conducted research on Gender and Security as a Government Fellow at the Geneva Centre for Security Policy. Before moving to Geneva, she was a Policy Officer with the Australian Department of Defence, where she has worked in the Directorate of Operations and International Law and the Middle East Operations and South Asia teams within the International Policy Division. In these roles, she has developed strategic policy, facilitated intra- and inter-governmental relationships, and managed large security sector reform projects. She also worked for the Carter Center on the South Sudanese Independence Referendum. Elizabeth holds a Master of Public Policy (International Policy) and a Master of Diplomacy from the Australian National University. She also holds a Master of History, a Bachelor of History from Trinity College Dublin, and has qualified as a Barrister in Ireland through the Honorable Society of Kingâ's Inns, Dublin. Elsa Dazin is an SSR Officer at ISSAT, supporting the organisation's efforts in implementing SSR programmes. She is responsible for research activities including the development of operational tools in the area of SSR programme design, assessment and monitoring and evaluation. She supports ISSATâs coordination, communication and knowledge management strategies. Elsa also contributes to ISSAT's field missions, focusing on capacity development for national authorities, and work on SSR policy development. Elsa's relevant experience in the field of development has been, as a Chargée de Mission, with the French Ministry of Economy's mission to Vietnam (ADETEF). Part of an international public sector reform expert group, she has been responsible for supporting through research and field missions the objectives of reinforcing the economic governance of the country and facilitating its insertion into international trade prior to its WTO accession. As a Research Analyst and Gender Focal Point within the UNDP Regional Bureau for Arab States, Elsa was responsible for knowledge management activities servicing 18 Arab States, providing technical support through lessons learnt, comparative experiences and knowledge collection and codification. On mission with UNDP Crisis Prevention and Recovery Unit, as a Project Officer, Elsa was involved in the operations for the reconstruction and recovery of a refugee camp, mainly setting-up solid governance structures for conflict resolution and peace building among the concerned communities. A graduate in Political and Administrative Sciences, Elsa has a Masters degree in Development and Politics in Sub-Saharan Africa and Southern Countries from Sciences Po. Bordeaux. Eren supports the work of the Advocacy and Outreach Team as well as Knowledge Services in developing and maintaining English content on the website, newsletters and social media and facilitating discussions in the Community of Practice of ISSAT. She conducts research on knowledge material as well as on country-specific and thematic issues and contributes to developing of advocacy material. Before joining ISSAT, Eren has worked for UNESCO's International Bureau of Education (IBE) in the Knowledge Production and Management department developing IBE publications and annual reports and establishing partnerships for international cooperation. She has also worked as researcher and faculty member in the European Studies departments of Bogazici University and Bahcesehir University in Istanbul while conducting her doctoral studies on the westernization of education in Turkey and the impact of EU education policy on the member and candidate countries. Her research focus has been on democratization, civil military relations and Europeanization in Southeast Europe. She has carried out a Jean Monnet teaching module within the 7th Framework Programme (FP7) of the European Commission in the area of Justice, Freedom and Security cooperation between the EU and Turkey. Having a PhD in Political Science and International Relations from Bogazici University and a Master of Arts degree in European Studies from the Georg-August University of Gättingen, Eren is fluent in English, German, Turkish, Greek and has a good knowledge of French. Mirko Fernandez is a member of ISSATâs Methodology Cell and an SSR Officer providing backstopping support to the Advisory Field Support (AFS) service line. Shahrazad holds a MA in International Relations and Political Science from the Université d’Auvergne(Clermont-I) as well as two Bachelor’s degrees in History and Art History from the Université Panthéon-Sorbonne (Paris-I). She is bilingual in English and French. Vanessa is Project and Finance Officer with ISSAT. She is responsible for the management of ISSAT's finances, for managing ISSAT's finance and logistics team, and for the development and implementation of operational and financial procedures. Her role involves financial planning, accounts and budgets management and oversight, liaising with Governing Board Members on bilateral and multilateral funding agreements, and the development of procedures to ensure the transparency, sustainability, effectiveness and cost-efficiency of ISSAT's activities. Vanessa also contributes regularly to the development of ISSAT's SSR training and advocacy material, notably in Spanish and French. Vanessa est Chargée de projets et finances auprès de l'ISSAT. Elle est responsable de la gestion des finances, de diriger l'équipe finances et logistique, et du développement et de la mise en oeuvre de procédures opérationnelles et financières. Ses fonctions incluent la planification financière, la gestion et supervision des comptes et budgets, les relations avec les membres du Comité de direction de l'ISSAT en matière de contrats de financement bilatéraux et multilatéraux, et le développement de procédures afin d'assurer la transparence, la pérennité, l'efficacité et la maitrise des coûts des activités de l'ISSAT. Vanessa contribue également de façon régulière au développement de supports de formation et de plaidoyer en matière de RSS, notamment en espagnol et en français. Vanessa est diplômé du Master en relations internationales de l'Institut de hautes études internationales de Genève. Avant de rejoindre l'ISSAT, Vanessa a travaillé pour la Division des Opérations I de DCAF. Elle a également travaillé en tant qu'Assistante de programme pour le Programme des Nations Unies pour l'Environnement (UNEP) et pour l'Institut des Nations Unies pour la formation et la recherche (UNITAR). Auparavant, elle occupait un poste dans le marketing et la vente au sein d'une entreprise multinationale. Vanessa parle couramment français, anglais, espagnol et italien. Aji is DCAF’s Security Officer, supporting the Director and Head of Divisions to operationalise and implement DCAF approach to security risk management, including the development of DCAF’s approach to crisis management. Aji also provides training, support and assistance to DCAF staff on travel security and medical related issues. She has previously worked within DCAF as Coordinator for ISSAT, supporting the Head of ISSAT in the financial management and oversight of resources, activity planning and coordination, human resources, in addition to, annual reporting and monitoring of ISSAT’s performance, as Coordinator for the Office of the Deputy Director (DDO), responsible for the planning and implementation of DCAF's activities in Indonesia, Nepal, the states of the former Soviet Union and Turkey, and before that as Coordinator of the Border Security Programme in the Western Balkans. Prior to joining DCAF, Aji spent 17 years as an officer in the Royal Navy, and 4 years as a civil servant with the UK’s Ministry of Defence. During her time in the Royal Navy, Aji served at sea and worked in a number of international and joint service postings, including NATO HQ in SHAPE, Belgium, a variety of appointments in the Ministry of Defence, and a secondment to the OSCE Mission in Bosnia & Herzegovina. Her final appointment was as an Arms Control Inspector, where she carried out inspections all over Eastern Europe and the Balkans under the CFE Treaty, Vienna Document 99, Chemical Weapons Convention and the Dayton Peace Accords. On leaving the Royal Navy, Aji continued working in the field of Arms Control spending 4 years as the UK's Representative in the Regional Arms Control Verification and Implementation Assistance Centre (RACVIAC), near Zagreb, Croatia. Aji holds a Masters degree in Psychology. In January 2002, Ms Claude-Hélène Gosteli joined DCAF as the Head of Conference & Travel Logistics. Claude was born and educated in France, and took a degree in English and Spanish from the Language University of Poitiers. After a year in England teaching French, Ms Gosteli studied for 2 years in Bordeaux, receiving a diploma in Tourism. For the next 18 years, she was employed by international travel agencies Danzas and Kuoni.